Human beings can be called "Homo Contribuens." We reaffirm natural human ways of living and seek how they can be put into practice. 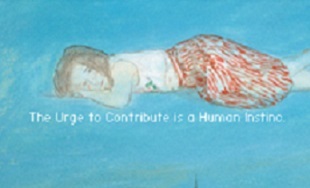 "The urge to contribute is present as a human instinct." It is the origin of Homo Contribuens Research and Development Institute. 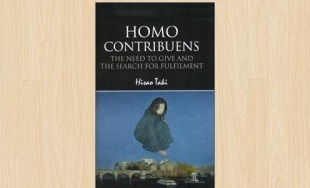 For beginners, you can read essential thoughts on "Homo contribuens" interpreted by the author himself for free. Hisao Taki, Chairman of this institute, gave a lecture on the theme “Let’s make what you have to do what you want to do!” for about 170 high school students who come from all over the country at Japan Future Leaders School on 26 July 2016. 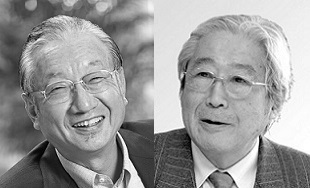 “Virtue Ethics: Basic Readings” published the other day was appraised as one of the most impressive five books in 2015 by Keiichi Noe, Philosopher, Professor Emeritus of Tohoku University, in the journal Misuzu, January and February 2016 edition.